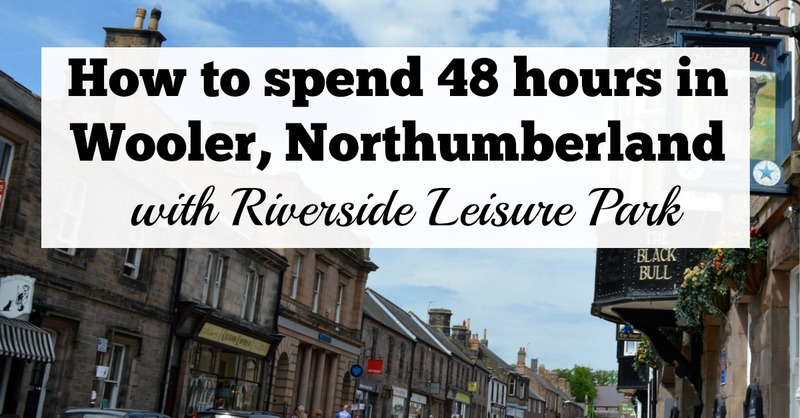 Riverside Leisure Park in Wooler, Northumberland is a site that has been recommended to me on numerous occasions. My parents and brother have both stayed there and were both full of praise for the site so we were delighted to be invited along this May to see for ourselves why everyone loves this site so much. We arrived on Friday evening and check in was super quick. We were very impressed with our Deluxe Lodge (see here for our guided tour) and it was very well equipped for families. 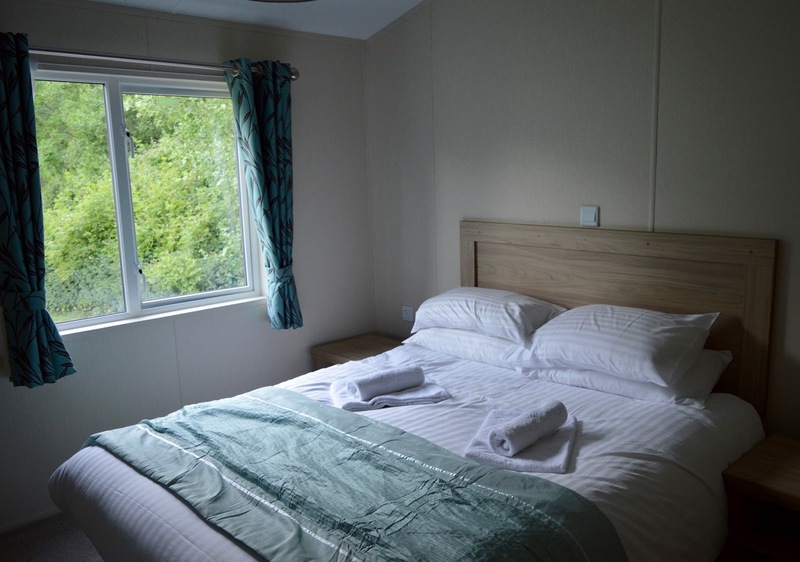 Our lodge featured 3 spacious bedrooms, 2 bathrooms, a dressing room, dining area, comfortable lounge with HDTV, a well-equipped kitchen including dishwasher and washing machine, private parking plus outdoor seating and a very large decking area. If you're looking for a home from home, I'd certainly recommend this type of accommodation. 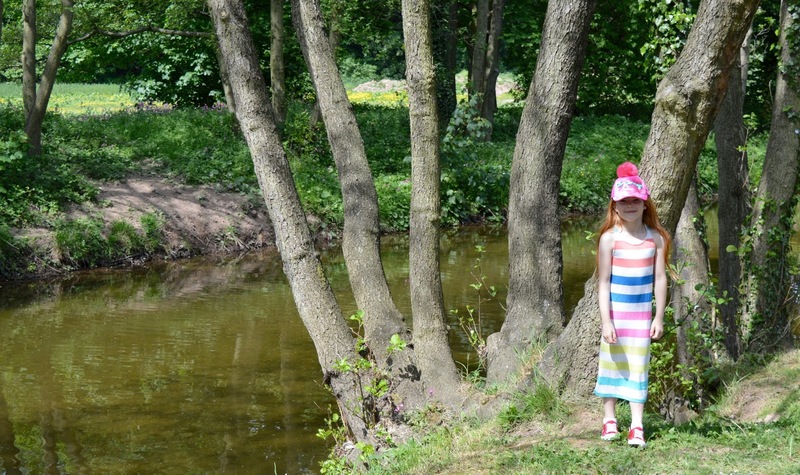 Now that our children are older (Harry is nearly 11), we let them have a little freedom when we stay on holiday parks and they loved nothing more than exploring the woods around our lodge and spotting lots of rabbits in the fields. There was a park a couple of minutes walk away and they played there with new friends until the sun set. Bliss for us parents who made the most of the evening sun with a glass of wine on our decking and lots of fun for the kids. It's win-win! There is a river running right through the site and the water is calm enough for (supervised) children to paddle and fish with their nets. 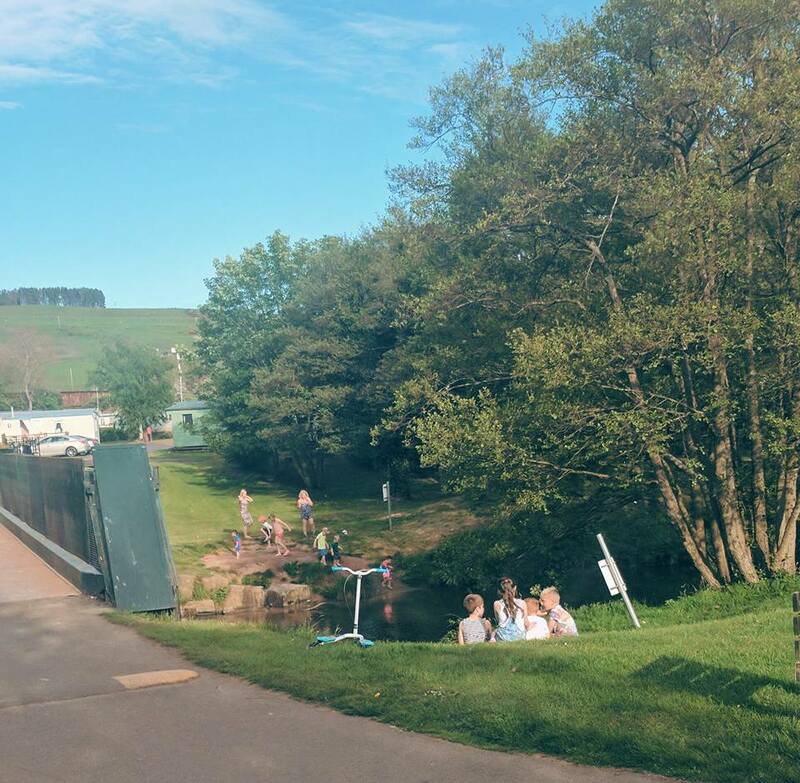 We spotted lots of families chilling out on the river banks as the kids played and had we stayed for longer I'm sure we would have joined them. 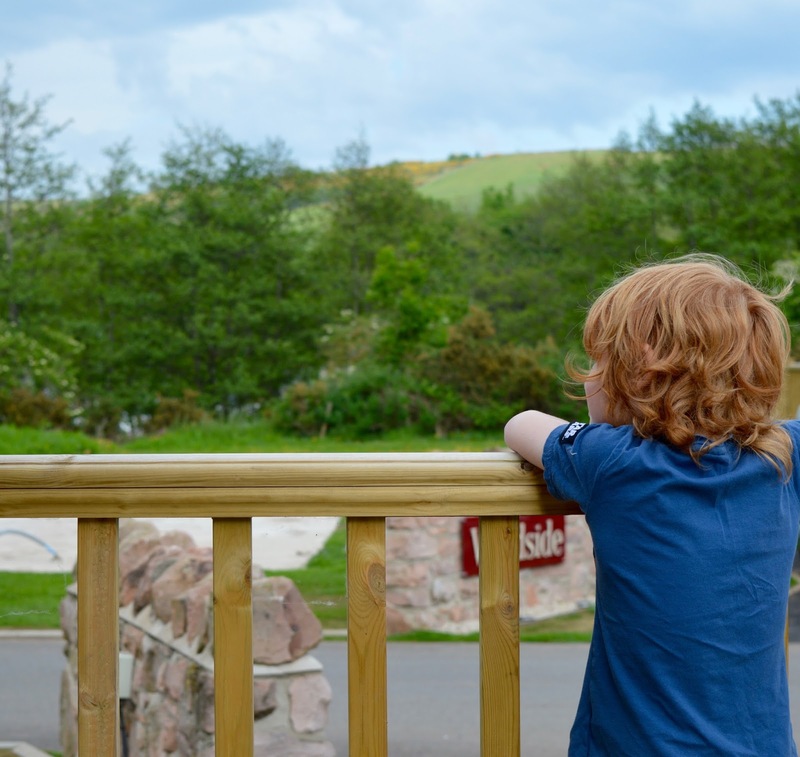 There are lots of gorgeous walks around the site and Jack proclaimed that this was his best holiday ever because he was surrounded by nature. I sent the kids to the shop one night with money for sweets and Jack returned with a bunch of carrots to give to the rabbits near our lodge bless him. 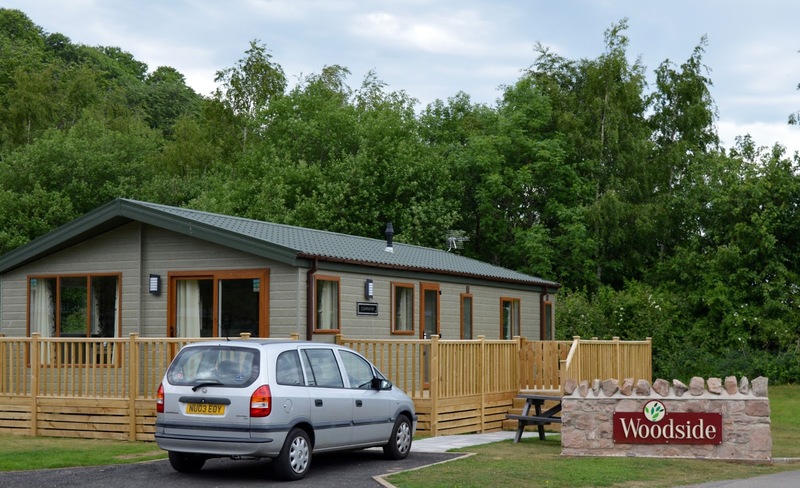 The village of Wooler was around a 15-minute walk from our lodge and around 5 minutes from the site's entrance so not far at all. 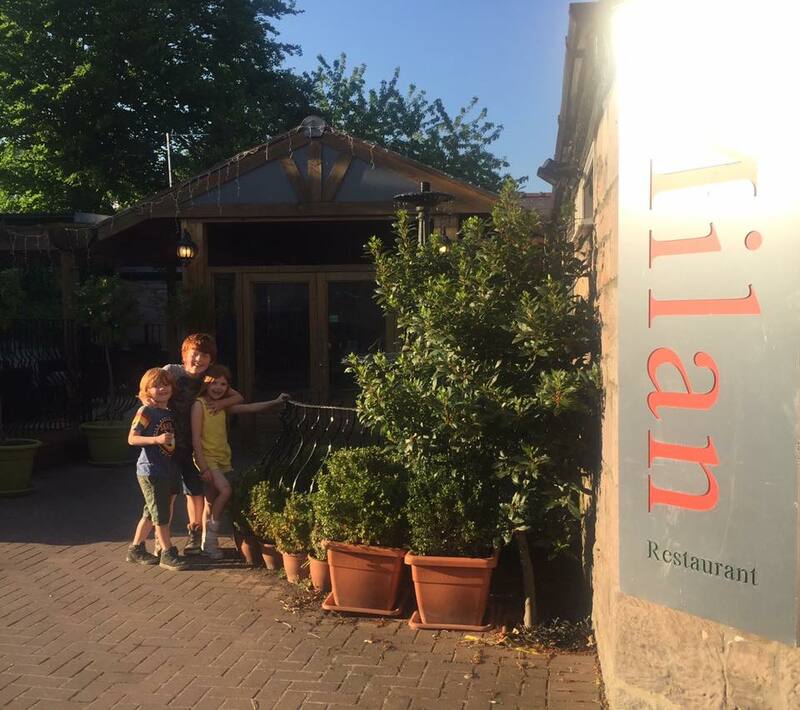 On Friday evening we booked a table at Milan which is an Italian restaurant on the High Street. 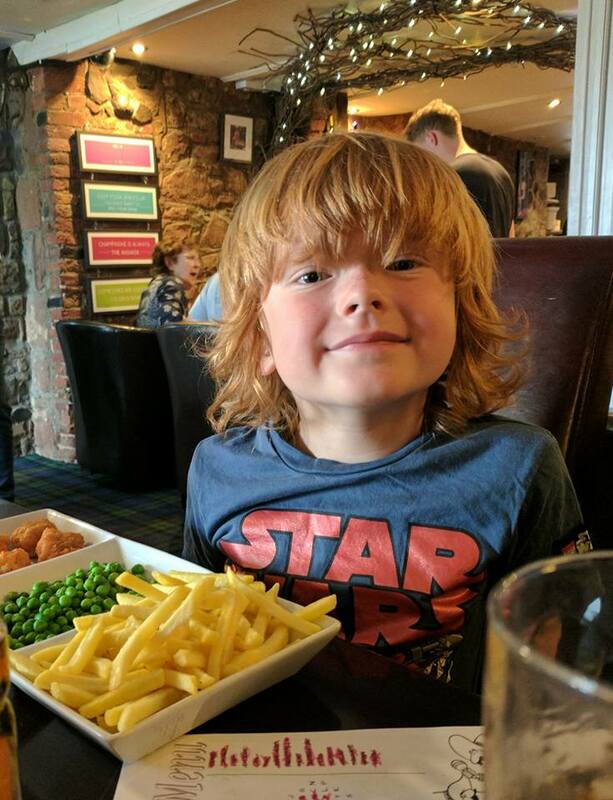 I found the prices to be reasonable, the service to be very friendly and the kids really enjoyed their meals (£5.95 for 2 courses) and were super happy when they were handed a balloon half way through our meal. 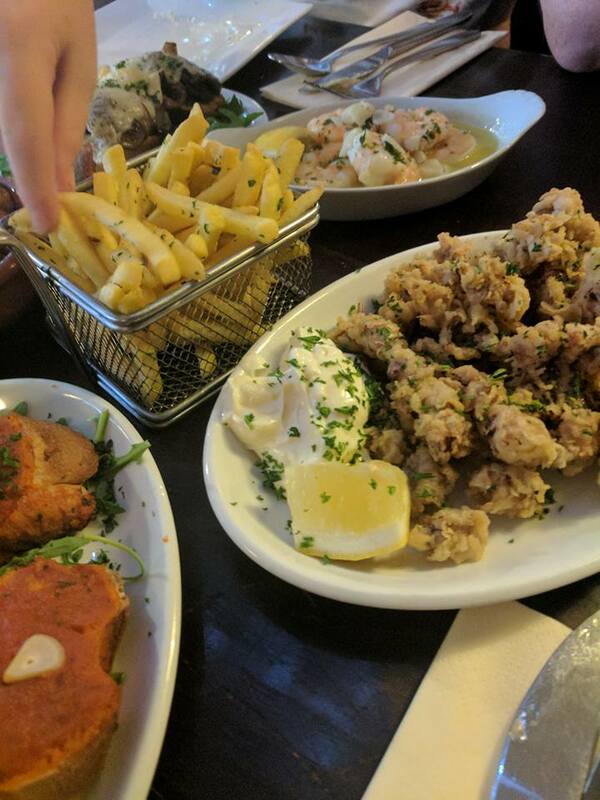 Dinner for 3 adults and 3 children was £95 for 2 courses and one round of drinks. We did all pick fairly extravegantly though. There is a club house on site with an amusement arcade ect.... but by the time we'd finished our meal it was getting late so we headed back to our lodge for an early evening. 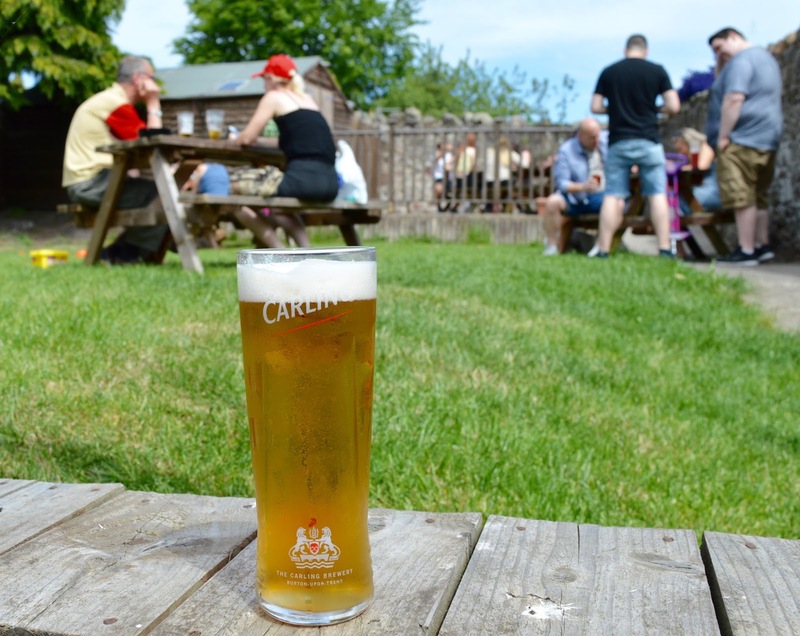 We woke up to glorious sunshine on Saturday morning and enjoyed a lazy brunch on our decking and spent some time soaking up the sunshine before heading back into Wooler in search of a beer garden. 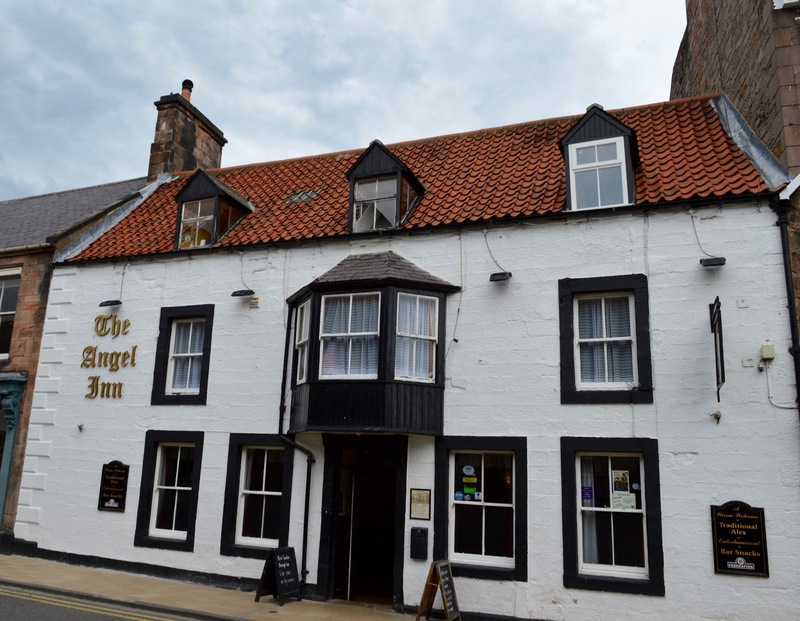 We had plans to walk to The Tankerville Arms which comes highly recommended but The Angel Inn distracted us with their Beer Garden signs so we popped in there instead. The kids were happy playing on the grass and we were happy with a nice cold beer. 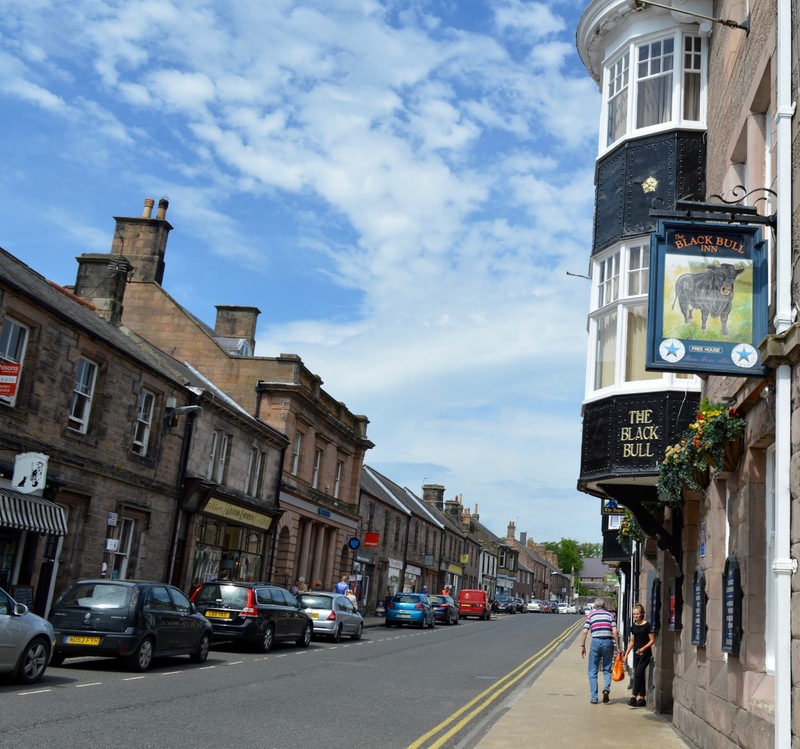 Wooler is the sort of high street you'd love to live by. 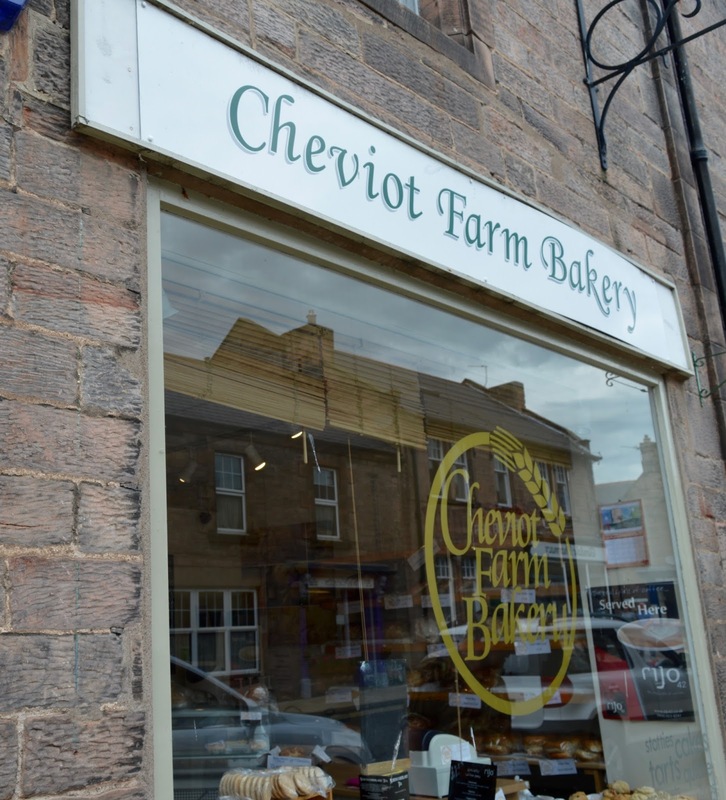 There are lots of independent shops and we popped into the butchers to pick up some bacon for the following morning and the bakery where we bought some delicious homemade scones and cakes for lunch. Yum! 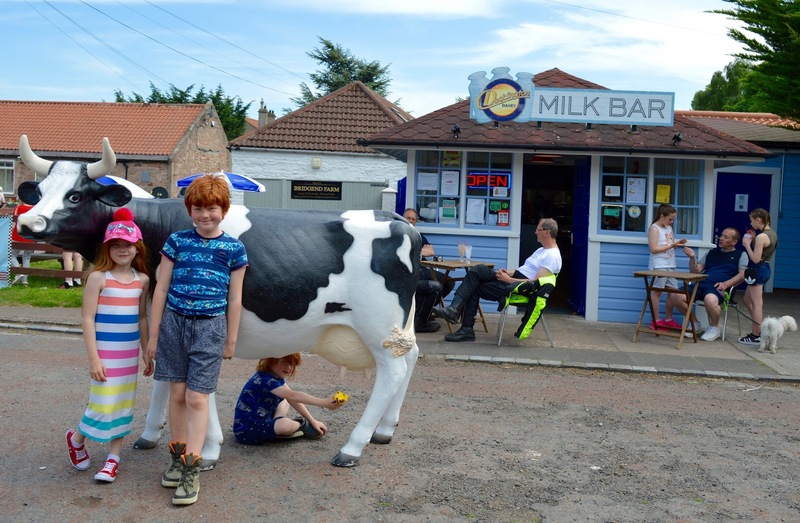 We ended our afternoon with a quick trip to the Doddington Milk Bar which sits right by Riverside Park's clubhouse. 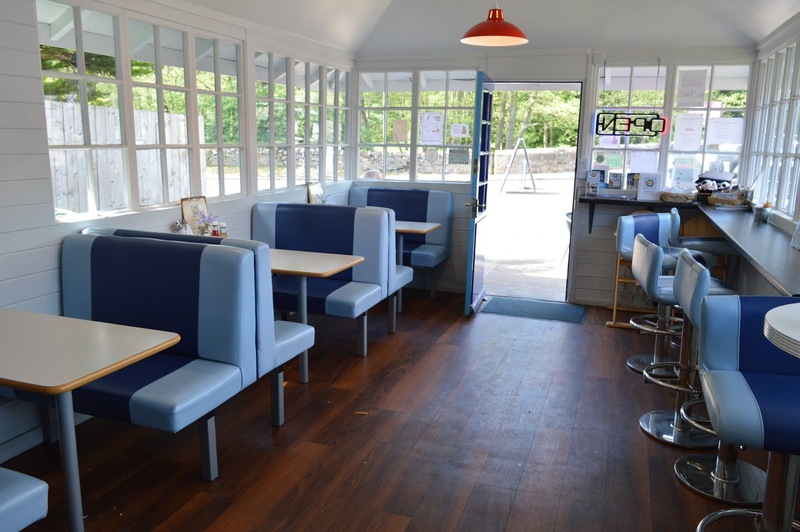 The Milk Bar is a gorgeous 50's style diner selling award winning ice cream, cheeses from the dairy and homemade cakes alongside breakfast and lunch. We loved this place and think it was super cute. 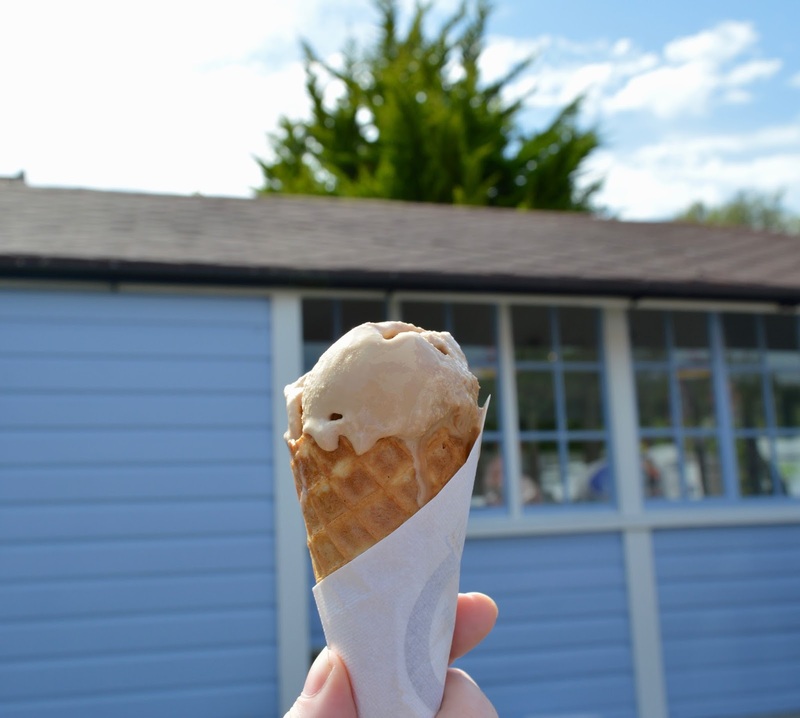 I highly recommend their salted caramel ice cream. 3 ice creams and 2 milkshakes set us back £11 which was extremely good value. We enjoyed a late lunch back at the lodge (I realise we spent a lot of this holiday eating!) and then the kids played outside with their football for a few hours whilst Steve and I relaxed reading our books and watching tv. We were so relaxed! On the recommendation of my Facebook page followers, we had booked a table at No1 Wine Bar in the evening. I am pleased we had booked as it was busy. 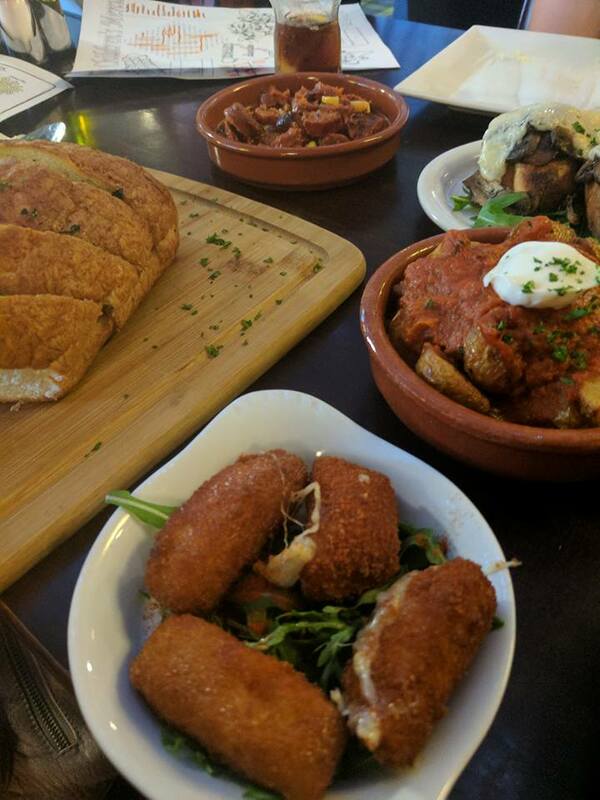 The tapas and wine bar on Wooler high street is small but perfectly formed with twinkly lights covering the ceiling and very friendly staff. We took advantage of the 3 tapas for £9.95 deal and ordered 9 tapas between myself, Steve and Harry. 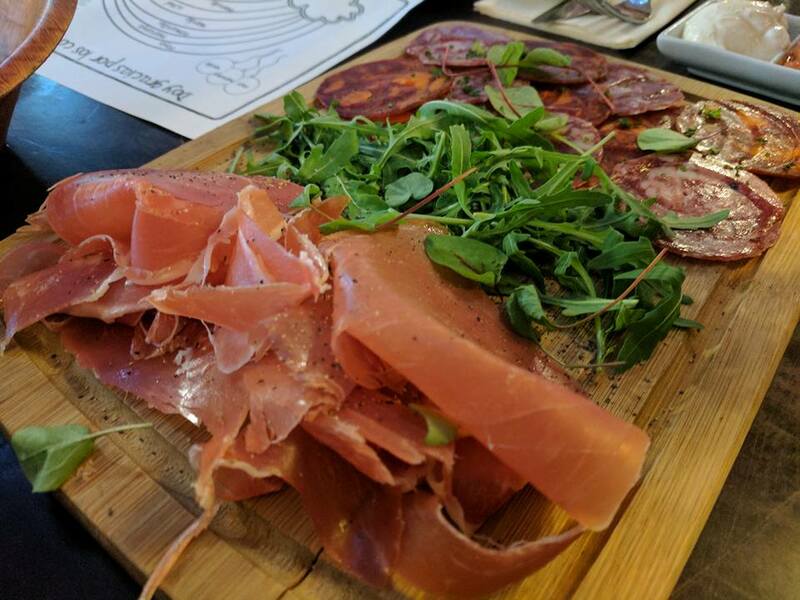 We added a platter of cured meats for £6.95 and washed it down with a nice jug of Sangria. 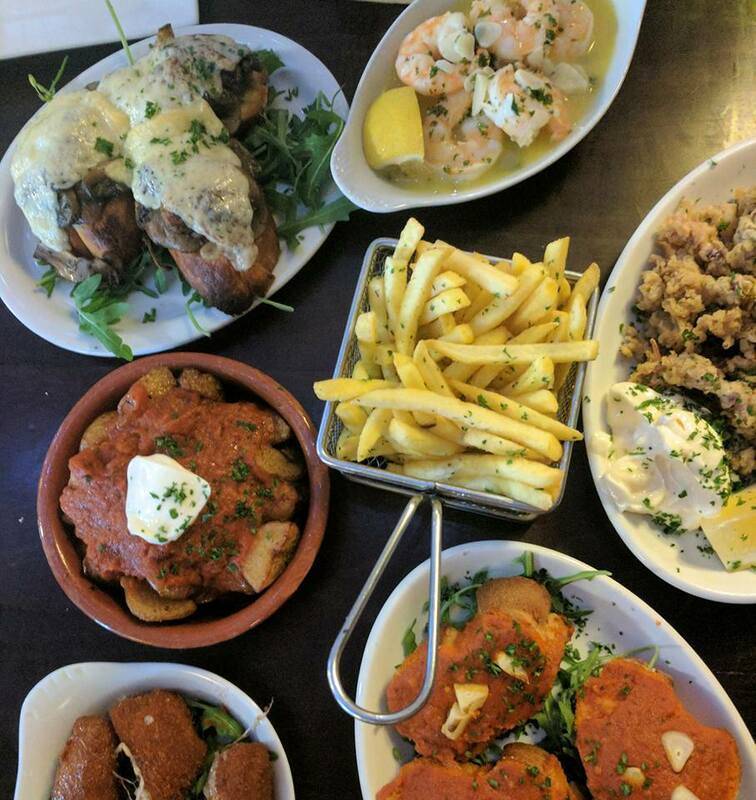 We made the mistake we always do at Tapas restaurants and ordered far too much food. There was no way we could eat all of this (and more) between the three of us. It was all super delicious and I highly recommend the fried Manchego cheese with honey. The children's meals were also very generous and a bargain at £5.95 for 2 courses. I love the way they were served too. We actually waddled home that night! We did have plans to watch the singer in the clubhouse but in all honesty Steve and I needed a lie down after so much food! Haha! We headed home, popped our PJs on and all snuggled on the sofa watching Jaws instead. There was no rush for us to get up the next morning so we let the kids stay up past midnight to watch the end with us which was a real treat for them. Unfortunately (or fortunately depending on how you look at it), I had fallen over and injured my leg when I picked the kids up from school on Friday night so wasn't able to go swimming. 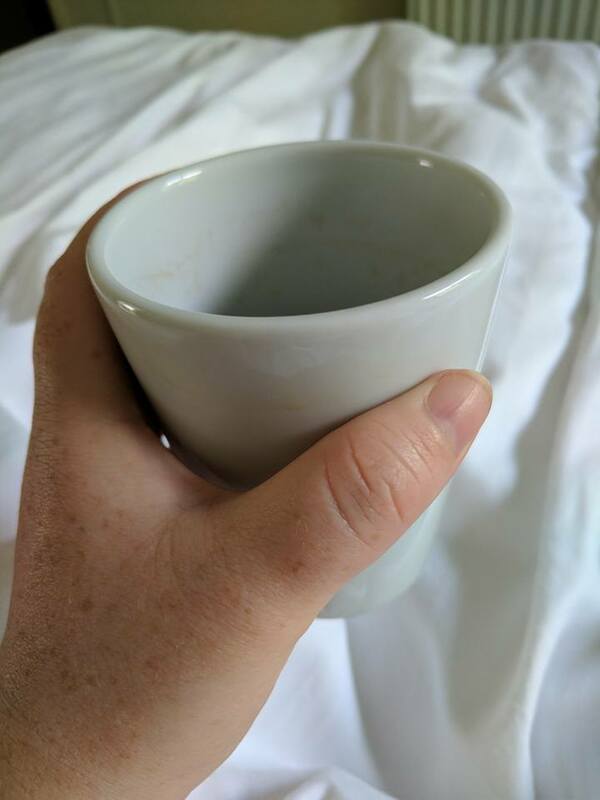 I left that job to Steve and he headed over to the on-site pool on Sunday morning with the kids whilst I enjoyed some peace and quiet, breakfast in bed and more reading on the terrace with no one bothering me every 5 minutes. It was blissful! Swimming sessions take place on the hour at Riverside Park and Steve and the kids all seemed to enjoy it - they even mentioned there was a bubble pool! I think I know who got the best deal though. After swimming the kids headed to the park for one last hour as we packed up our lodge. We could have stayed until Monday and that would have been lovely but unfortunatly Steve could not get the additional time off work so we headed home on Sunday afternoon instead. If we had have been able to stay for an extra night I'm sure we would have made it to the clubhouse and probably taken another walk around the fishing lake too. 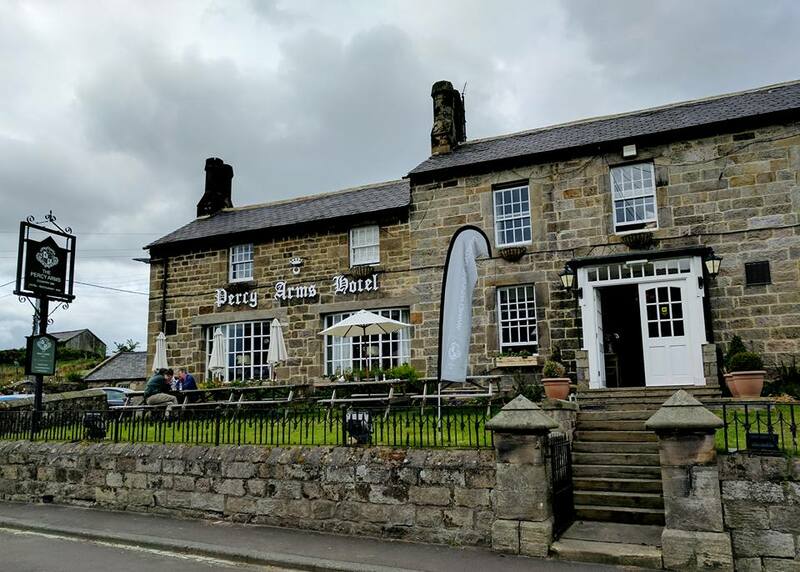 The village of Chatton is a 10 minute drive from Wooler and I remembered that the Percy Arms Hotel was on my list of places to visit and try for lunch so we planned a detour on our way home at around 2pm. 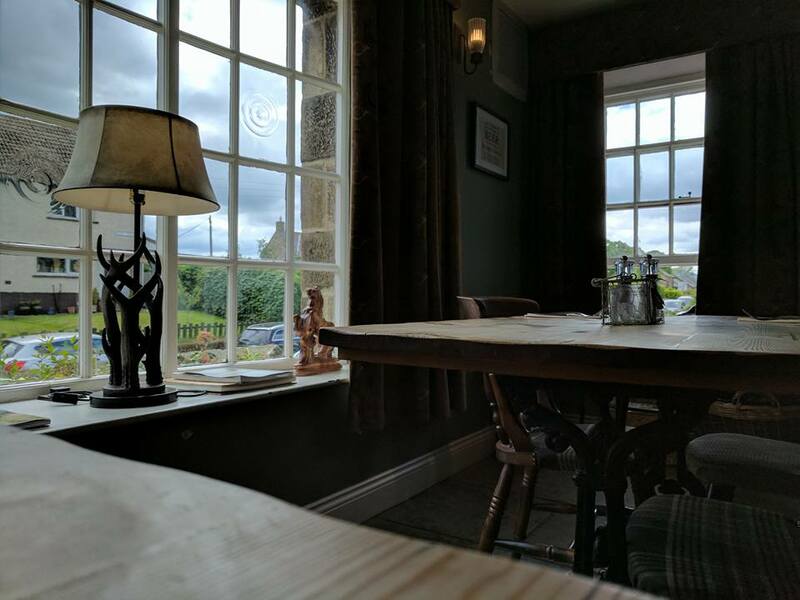 Sunday lunch in a country pub is a must when you are staying in Northumberland I think. 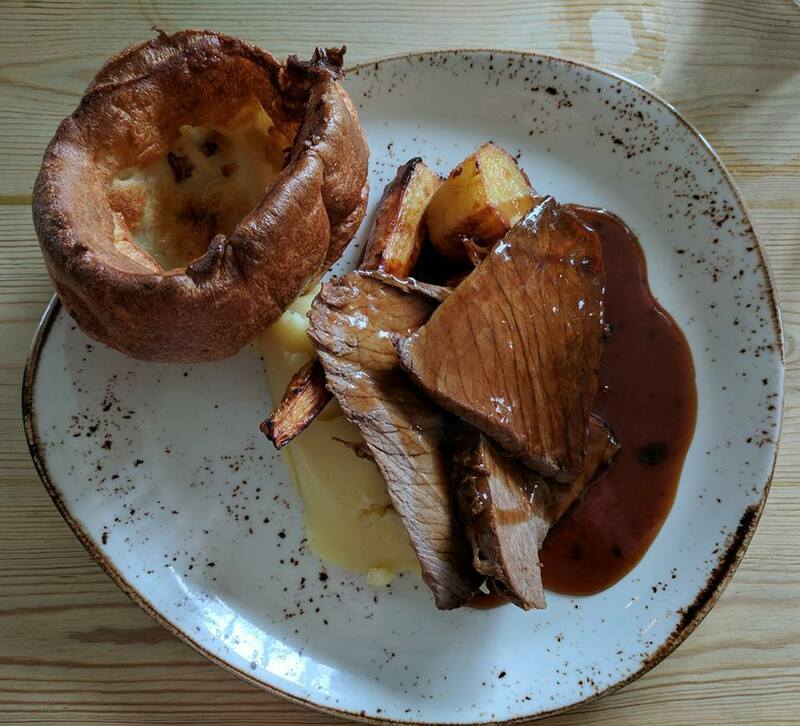 This version (£12.95) wasn't the best I've ever eaten (the beef and veg were overcooked) but the roasties and yorkshires were spot on and it wasn't a bad lunch. Kids meals were very good value at £5.95 for a half portion of anything on the menu. We only live an hour away from Wooler but spending the weekend here felt like we were a million miles away. 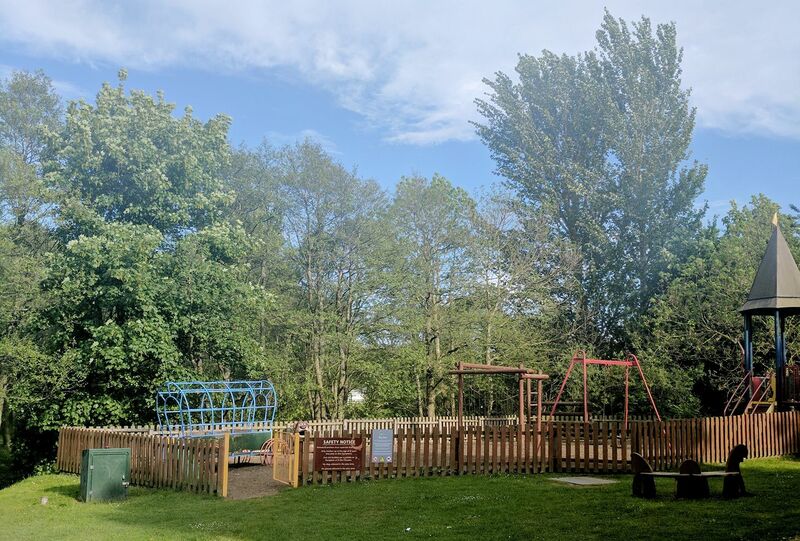 It is indeed a lovely site with lots of space for kids to play and enjoy nature. As well as caravans and lodges, there's the option to take your own tourer too. 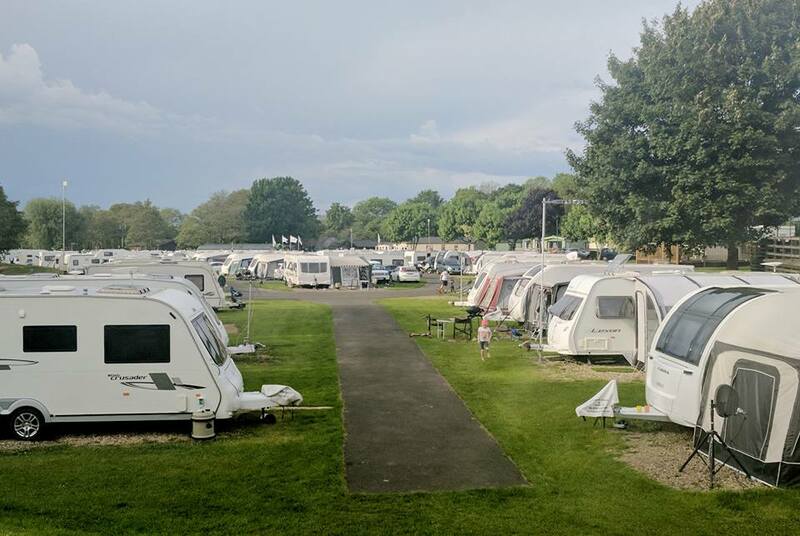 It looked super busy over bank holiday weekend and is certainly popular. 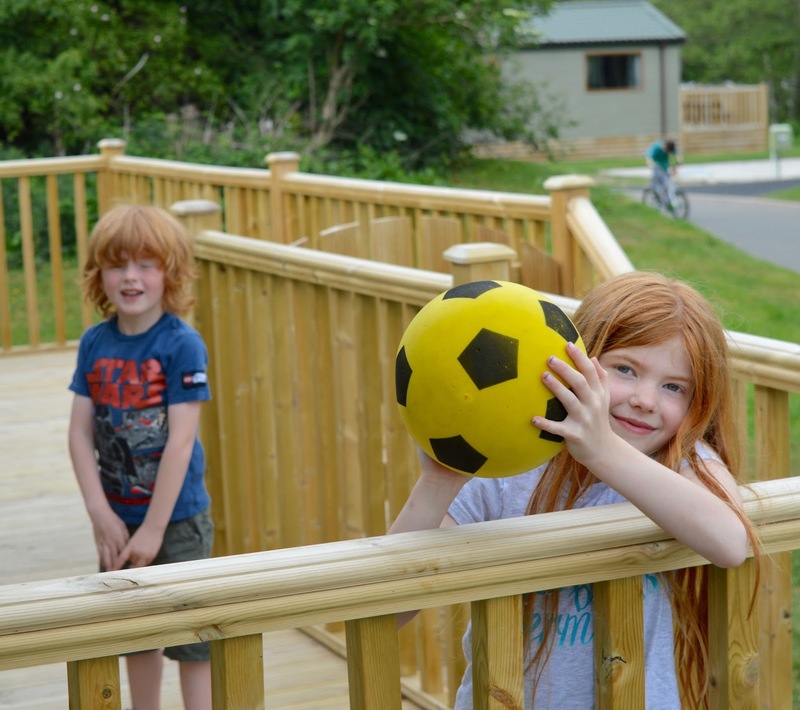 If you are looking for a base in North Northumberland with access to countryside walks that has lots of space for the children to run around and enjoy some freedom, is within walking distance of some lovely places to eat and country pubs and has all of the facilities you'd expect from a holiday park including a play park, swimming pool, amusement arcade and pub, you'll definitely enjoy Riverside Leisure Park. 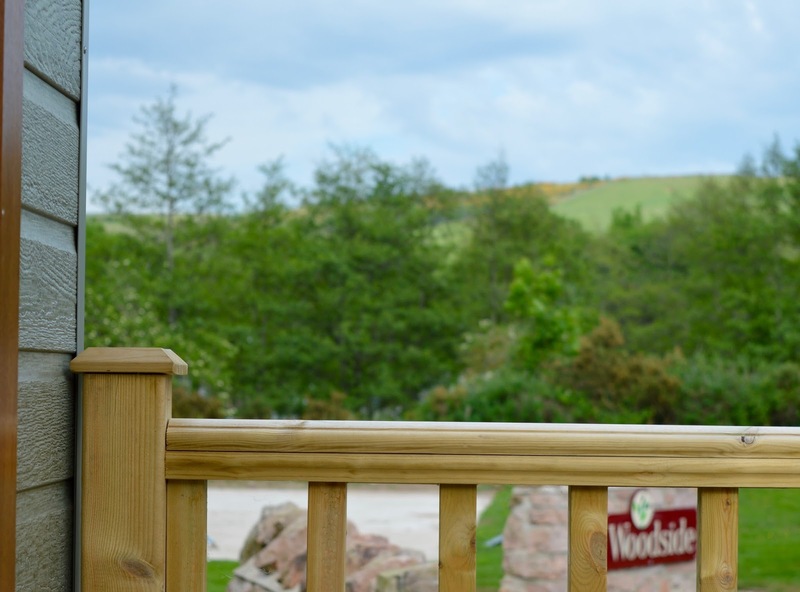 There are some real bargains to be had at the moment with prices available from just £99 per family for 2 nights. 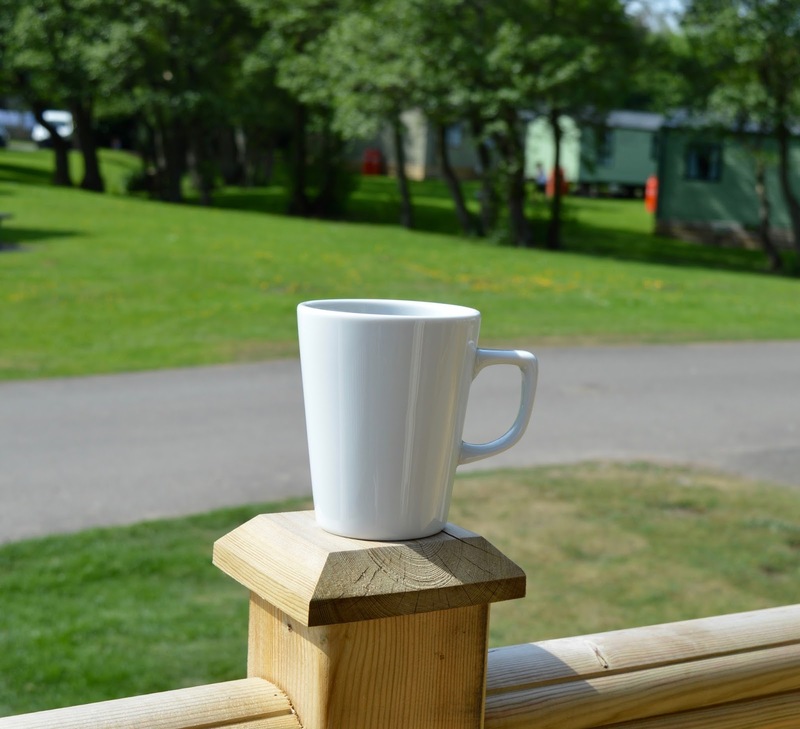 You can find out more and book your break at Riverside Leisure Park here. What a lovely relaxing break and how great to be able to spend so much time outside! 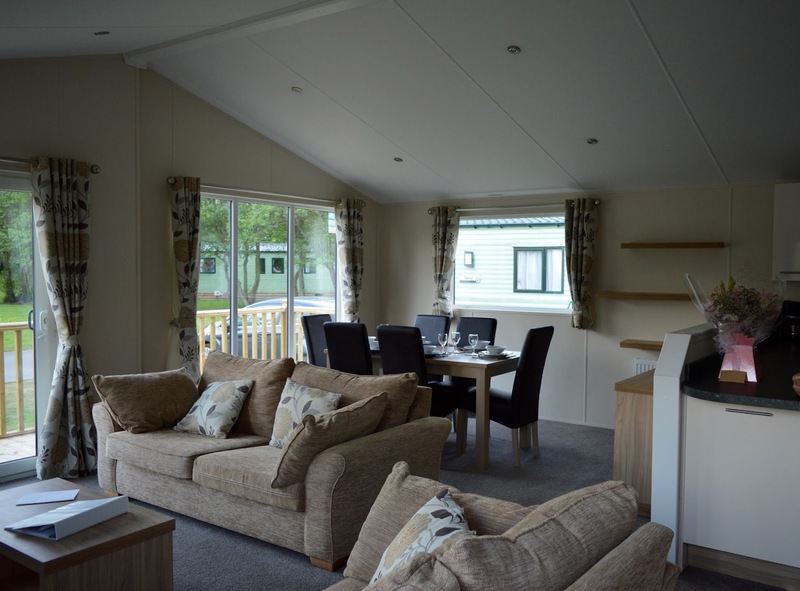 I have fond memories of childhood holidays on caravan parks but none as luxurious as This! 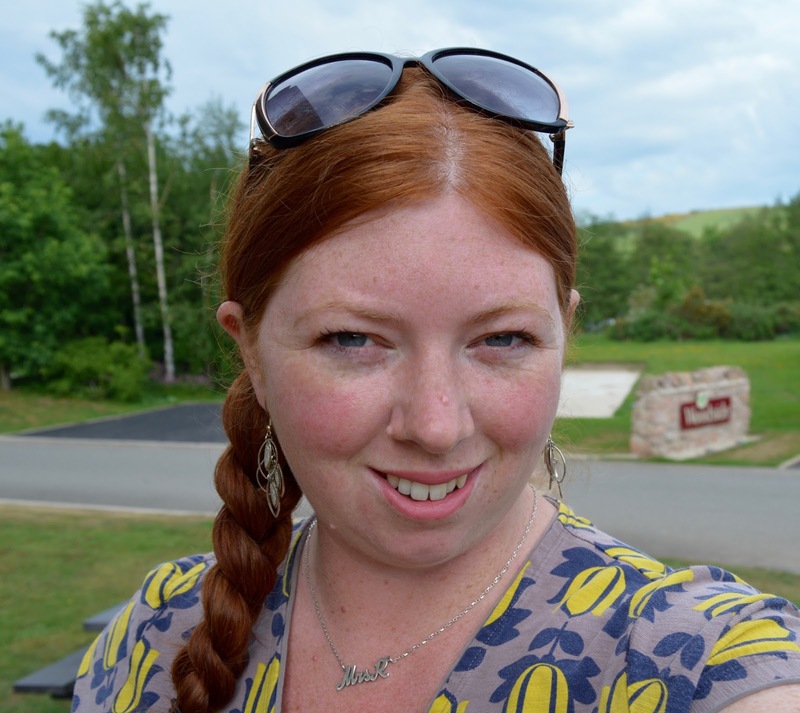 Was there anything that would have added to your experience of Wooler? 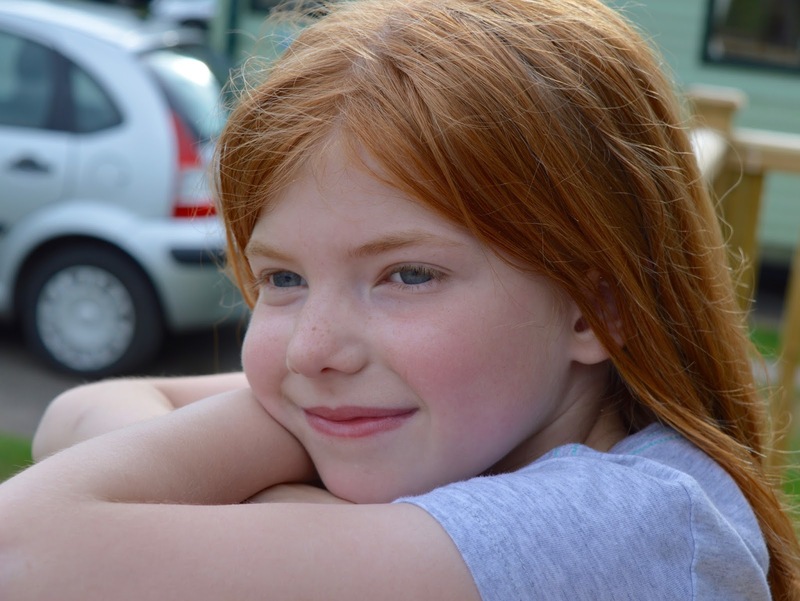 Anything that you would have changed or improved if you could? That's good news. 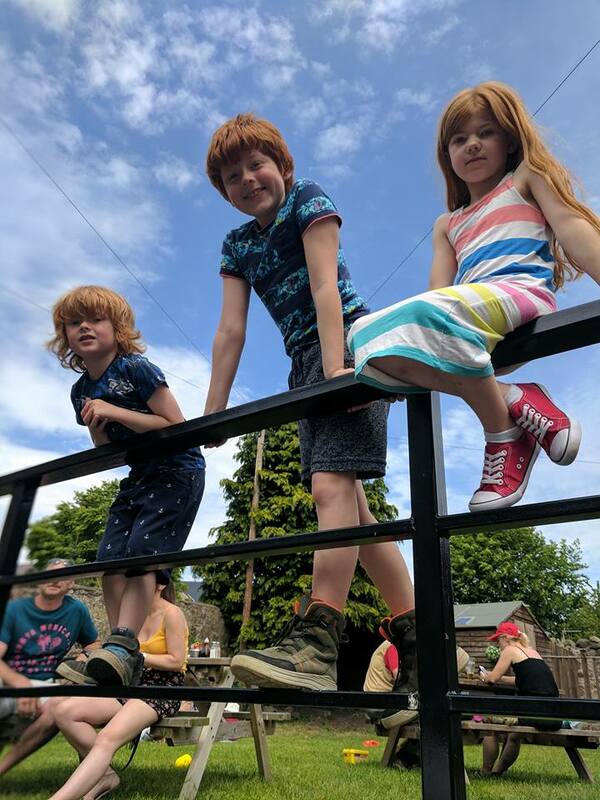 We are right in the middle of putting together our Neighbourhood Plan to help shape the future of Wooler.We really appreciated reading about your experience and LOVED your photographs. Thanks! 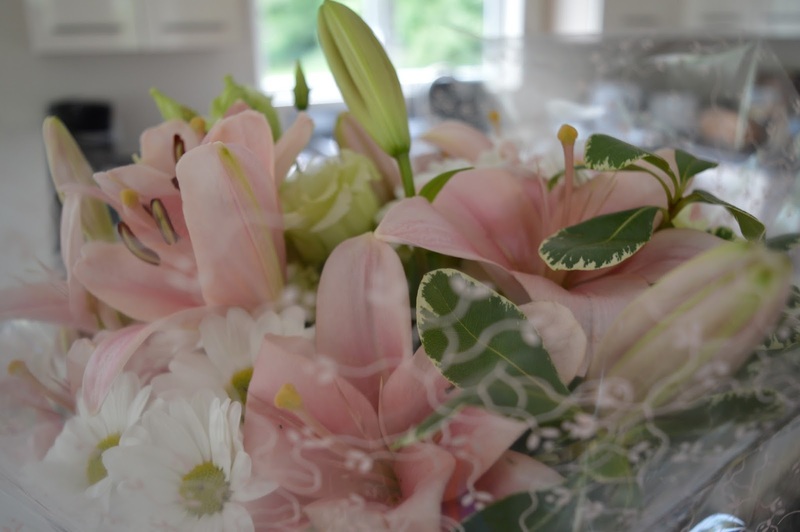 Thanks for commenting - that's really lovely to hear. We hope to return later in the summer. Haven't been to Wooller in years. Hopefully we can get everyone loaded into the car and take a family trip up during Blackberry Week!